Please visit our Food Service Section which highlights some of the essential tea related products that are suitable for Restaurants, Hotels, Takeaways, etc of the catering industry. 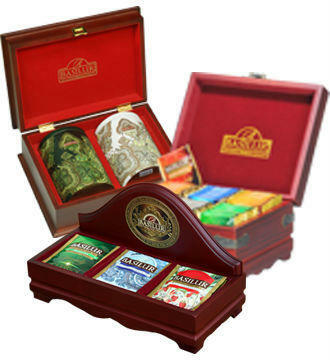 Basilur Tea UK offer a wide variety of beautiful and individual wood presenters to enhance our foil enveloped tea bags and Pyramid bags. Please contact us to see how we can help you or to arrange a meeting with one of our catering sales managers to identify the right products for your business from our huge range of bagged and loose teas.